The Democratic Party and President Barack Obama consider the Healthcare law to be their signature achievement. An achievement that separates Jesus Christ from those who are vowed to Him is no achievement. Watch the emotional video below from the Becket Fund for Religious Liberty about the Little Sisters plight. After watching the video, read the Becket Fund’s press release from September 24, 2013 about the Sisters’ class-action lawsuit. 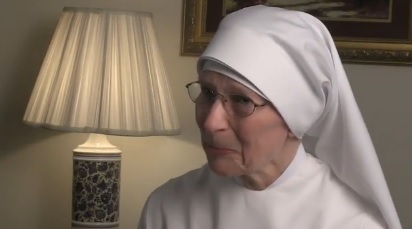 Washington, D.C., — Today, the Becket Fund for Religious Liberty filed a lawsuit on behalf of the Little Sisters of the Poor, a religious order of Sisters dedicated to caring for the elderly poor (see video). Without relief, the Little Sisters face millions of dollars in IRS fines because they cannot comply with the government’s mandate that they give their employees free access to contraception, sterilization, and abortion-inducing drugs. The Little Sisters are joined by their religious health benefits providers, Christian Brothers Services and Christian Brothers Employee Benefits Trust, and a class of other religious organizations facing similar fines, in the first class action lawsuit against the Mandate. The lawsuit was filed in federal District Court in Denver. There are now 73 lawsuits challenging the mandate. For more information, or to arrange an interview with one of the attorneys, please contact Emily Hardman, Communications Director, at ehardman@becketfund.org or call 202.349.7224. Please share the Sisters’ story. Forward it to everyone you know. Though the Democratic Party and its politicians knew that their Healthcare law would violate the vows of religious persons like the Little Sisters of the Poor, surely individual Catholics who identify as Democrats did not want such effects on their religious sisters, nor would they want such a bad law. Surely, these Catholics never believed their religious sisters would have to choose between obedience to God and obedience to government run by the Democratic Party. Pray that the sisters will be free to live the Evangelical Counsels of voluntary poverty, chastity and obedience. 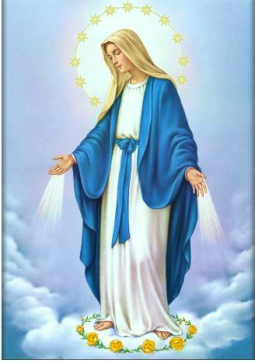 This entry was posted in 2013, Peter L. Hodges Sr. and tagged Becket Fund for Religious Liberty, Catholic, Catholic Church, Catholic Democrats, Christian Brothers Services, Democratic Party, healthcare law, Lay Catholic, Little Sisters of the Poor, ObamaCare, politics, religion, religious freedom, Religious liberty. Bookmark the permalink. Amen and God bless you Sisters of the Poor! Praying for a victory of these Sisters and for us all as Catholic Americans. And did any of the sisters vote for the powers that be? Really? Did they vote for the powers that be? What difference does that make. Who really knew all that was in this new health care? And it is none of your busniess who they voted for. I will certainly pray for the sisters and all those that are forced to go against their religious beliefs. This guy in the WH is just evil and he will not stop until he gets a conscience,(highly unlikely) but we can live in hope. No, they should not file for an exclusion. There is no exclusion for one’s religious rights guaranteed by the Constitution. That is would be a win for the left leaning liberal Democrats who want to take away our all of our rights. We sure need the 3 wise men or KINGs in the white house, or the three Divine person, God Father, Son, & Holy Spirit to Instruct them. let us pray as prayer is POWER.